SAN LUIS POTOSÍ, Mexico — BMW Group will choose the tire supplier for the 3 Series sedan that it will assemble at a new plant in San Luis Potosí, in north-central Mexico, in the next six months. The $1 billion facility is under construction and is scheduled to open in 2019. “By the end of the year we will fix all the suppliers, including the tire suppliers,” Hermann Bohrer, who has been in charge of the San Luis Potosí project since March, 2015, told Tire Business exclusively June 16 at the factory site. A former director of BMW's Munich assembly plant, Mr. Bohrer was speaking an hour after helping to break ground at the 988-acre greenfield site. 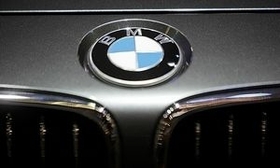 The facility will be the German auto maker's most technologically advanced anywhere, it said. San Luis Potosí is 260 miles northwest of Mexico City. In a speech, Oliver Zipse, a BMW A.G. board member responsible for the group's production globally, confirmed that the company will assemble the 3 Series at the facility. Production capacity will be 150,000 cars a year. Most will be exported to the United States, Canada and South America. The plant will employ 1,500. Goodyear broke ground on its first plant in the Americas for a quarter of a century in the same Mexican city in July 2015.